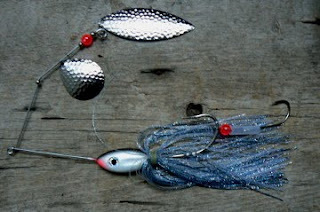 Take a look at five new and exciting Muskie species spinner and spinnerbait models. 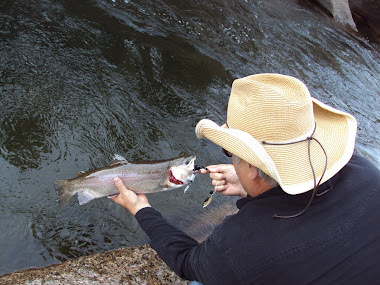 Our best and biggest components were put into action to bring these lures to the market. 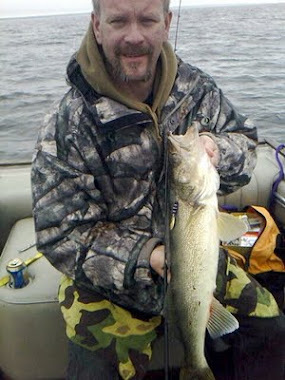 They're being fished for Northern Pike and Salmon too. Weighing in at 1 ounce, this transparent yellow Dinner Bell model introduces noisy double tandom blades and a set of 3D prism eyes. Choose from multiple hook sizes with hand-tied bucktail trebles. Its availabile in different blade configurations and about 10 striking paint jobs. This Squid imitation double bladed Dinner Bell is another one to consider. 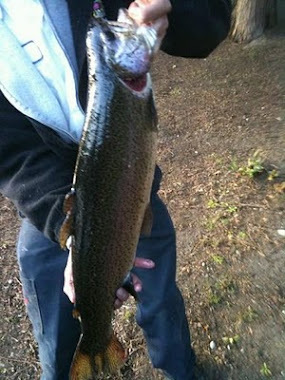 It weighs one ounce and is about 7 inches in length. What's unique about this one is the silicon starflash skirt. The skirt is stacked above a pvc riser that lets your hook choice extend out to the back of the skirt, avoiding the need to put on a stinger hook. 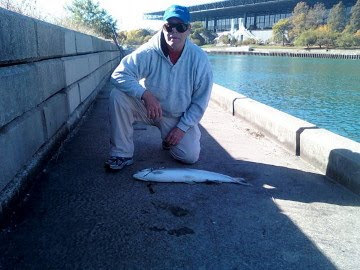 This one has a stainless #4/0 single hook and catches Salmon in brackish waters. These spinnerbaits are hand-tied with magnum zonker strips in a variety of fish attracting colors. The large blade is attached with a ball-bearing swivel and clasp to enable blade changes. 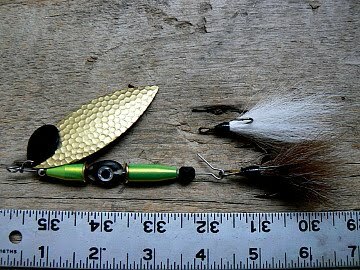 This bait catches Muskie and Pike and I've used them to catch large rainbows in fast water chutes where other spinners didn't work. 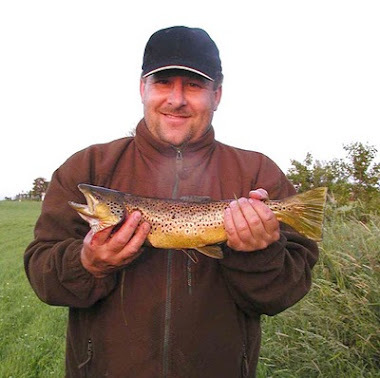 These big spinnerbaits run deep and slow. 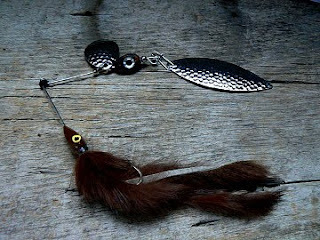 Extra large blades and heavier bodies make this a lure for the fishermen setup to cast the big tackle. This model is available in a variety of silicon skirt colors, body colors and blade choices. Here's a white one with hammered nickel blades, silver skirt, and a match the hatch cabled stainless hook slip stinger. 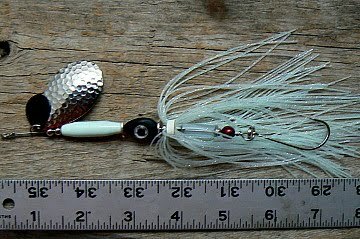 We also have 1.5 ounce models in the webstore. 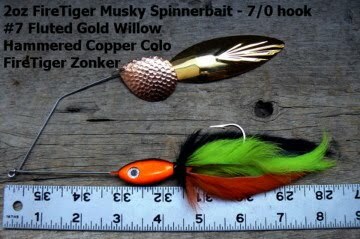 If interested, plese signup as a blog follower to enter the monthly spinner giveaway. We're a small and adaptive company, so providing feedback and comments is an excellent way to influence product design.